In the fall of 2014, we began a pilot program here in Lane County. Phase one of the foundation's fundraiser included eight of the 4A & 5A Eugene-Springfield Area High Schools. Cosmos Creations donated all the product at zero cost to the schools to see how the program would work and potentially how much money could be raised for these schools. 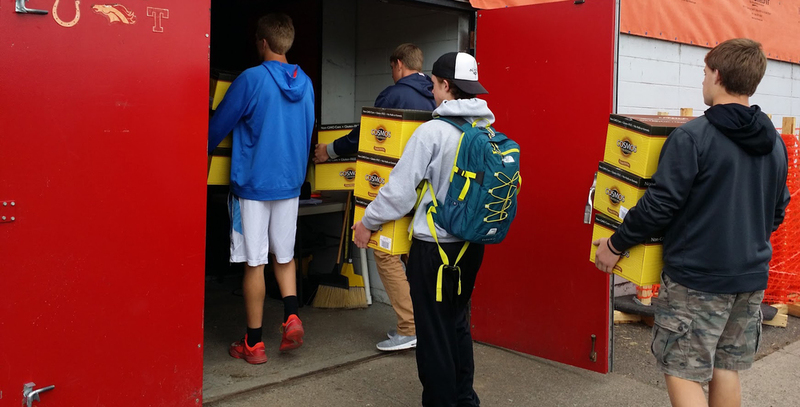 Each participating school had the opportunity to receive 240 cases or 2,880 bags of Cosmos Creations in a variety of flavors. The student athletes and leaders took Cosmos Creations into the community to sell each bag for $4, for a total profit of $11,520 for the school’s athletic program. All fundraiser sales - money collection and product delivery were immediate. In total, the CBSLF pilot program created more than $110,520 fundraising dollars for area high schools. Needless to say, the schools were more than thrilled to participate and we have seen so many great success stories come out of this pilot program. One of the success stories came from Thurston High School where they were able to buy new batting cages for their baseball team. We continue to see the great ways the foundation has impacted the students and schools. Planning has started for 2016, please visit our Sponsorship or Fundraising page for more details!